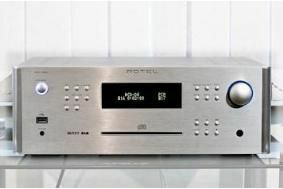 MANCHESTER SHOW 2010: Rotel RCX-1500 CD/internet receiver lands in the UK | What Hi-Fi? Already available in the States, as we've previously reported, it's an integrated internet/FM/DAB receiver/CD player with UPnP streaming capability, Rotel describing it as 'the most versatile component we've ever made'. It supports UPnP technology and has been 'optimised for use with Windows Media Player 11 and 12', and has RS232 connectivity for system control and bi-directional feedback, for use in custom installations. The RCX-1500 uses Wolfson 24-bit/192kHz digital-to-analogue conversion, along with Class D amplification delivering 100W per channel. The CD section, meanwhile, is based on the company's RCD-1520.